Stringent regulations surround the production and installation of transportation glazing including bus glass, coach glass, train glass and tram glass, which provides protection for passengers not only during routine service but also if an external object strikes the vehicle. Trend Glass Technologies’ has the capability to produce products which meet all the required standards for flat and curved glass used in windscreens and side panels. Experience, honed over four decades of designing and manufacturing windscreens and marine glass for yachts, gives the company an acute insight into the glass requirements of land transport. 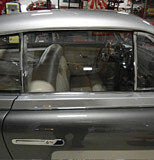 This includes the production of specialist chemically toughened glass products with double curves for windscreens. The entire manufacturing and finishing process is undertaken at the company’s 12-acre site in Norfolk, where Trend employs more than 200 people making some of the finest specialist glass in the world. 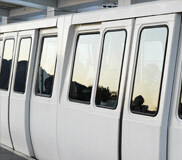 Transportation glazing products are manufactured and finished entirely on site and shipped to clients throughout Europe. Trend Glass Technologies specialises in complex, one-off projects that require the ultimate in curved glass craftsmanship.